Great food, spectacular singing, songs of love and longing. 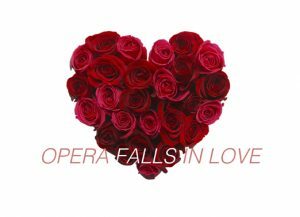 Taconic Opera – now in its 21st season and past recipient of the Arts Organization of the Year Award in Westchester County – will hold its annual fundraiser Gala, Opera Falls in Love, on Thursday, September 13, 2018, at 7:00 pm at the C.V. Rich Mansion, 305 Ridgeway, White Plains, NY. Start time: 7:00 pm. All Gala proceeds support Taconic Opera’s exciting 2018-2019 season of events which will include a double-bill fully-staged production of Cavalleria Rusticana and Gianni Schicchi, a concert performance of the Verdi Requiem in two locations, a chamber concert, and free opera lectures provided throughout Westchester County. Guests will dine on sumptuous cuisine and honor important supporters of the arts while being treated to a variety of both highly dramatic and amusing arias, duets and ensembles from opera’s vast repertoire of love-related themes, both serious and silly. Several of their audience’s favorite singers will both thrill and amuse you on a journey through some of the world’s most famous operas – an evening that “music lovers” won’t forget for a very long time. Attendance at the Gala will be by a partially tax deductible donation: Gold $250; Silver, $200; Bronze $150. Discounts are available for groups of two or more and tables for eight. Tickets and reservations can be arranged online at http://www.taconicopera.org or by calling 1-855-886-7372. Parking is plentiful and the venue is handicap accessible. Full season information is available on the website.